Boy, that’s a frustrating number! You calculated it. Didn’t you? Putting in so much effort to get visitors on your site, laying out products they would like, sorting out millions of usability and payment issues every day, taking pains for timely shipping and delivery… all for what? Realizing that majority of your potential customers decide against buying at the last step? Many times, it might even seem that it isn’t worth the effort. But let this be your last shot at increasing your website sales before you give up. And if you get this right, I promise, it won’t be long before you see your deserted baskets recovered. Why do people leave their shopping cart and how to overcome those hurdles? When an obstacle causes friction in consumers’ minds, their motivation levels drop. And you know what happens next… you lose sales. No surprises there. What’s worse, it’s not about the change of mind (if that’s what you’re thinking). Most likely, it’s something about your website that needs a fix. Blame the big sharks of the industry for this. They have spoiled consumers big time. “Free shipping” (in at least some form) has become almost a norm. Don’t comply with it — and you run the risk of scaring away your customers. 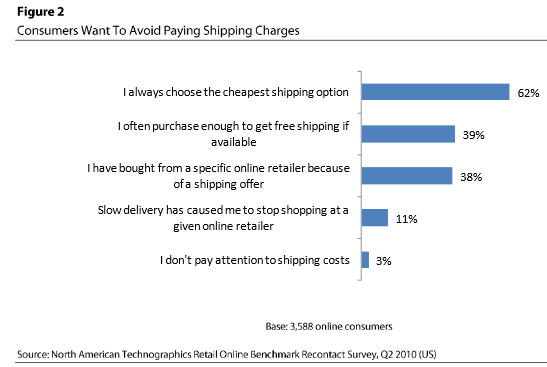 Average order value (AOV) with free shipping is 30% higher than orders where you make consumers pay for it. 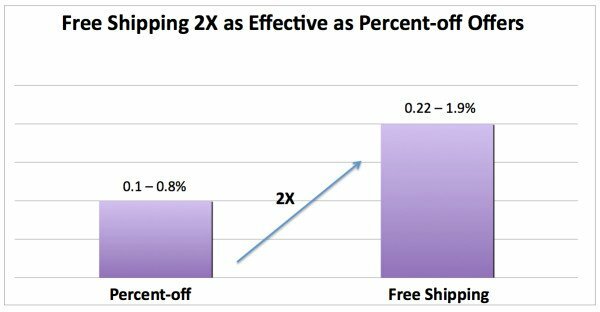 (Click to tweet) Clearly, free shipping incentive impels people to buy more. Offer free shipping day/week during peak season – The 5-day free shipping week (Dec-17th to Dec-21st) introduced last year during the holiday season saw a great spending surge and contributed to 16% additional online spending. The spending growth rate was thus calculated to be up by 53% from previous year. What contributed to the success was the promise to deliver the packages before Christmas. Offer such free shipping days/weeks to up your revenue. Don’t forget to keep a track on your average order value, number of conversion, and net profit when offering free shipping. And conduct regular checks to see if it’s working for you. Just for your information, December 17 is the free shipping day. You wouldn’t want to miss that last-minute revenue boost. (Click to tweet) Promise (and actually strive to fulfill) delivery by Christmas and see the magic. Offer shipping benefits to members – Once again, Amazon, sets an example here. You must have heard about Amazon Prime. Yeah, the membership costs $79 a year. The primary benefit is the guaranteed, unlimited, two day free shipping on all products. Recent reports reveal that this service has doubled online spending at Amazon in less than two years, and has around 10 million subscribers right now (Click to tweet). Does free shipping really work? A poll by Practical eCommerce revealed that offering free shipping (in some form) proved to be beneficial for more than 40% of respondents. 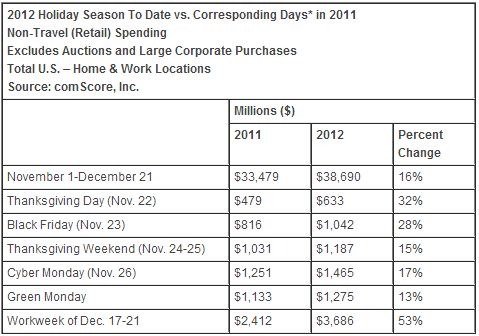 The same survey also disclosed that the average sale amount for these respondents was more than $20. Calculate. 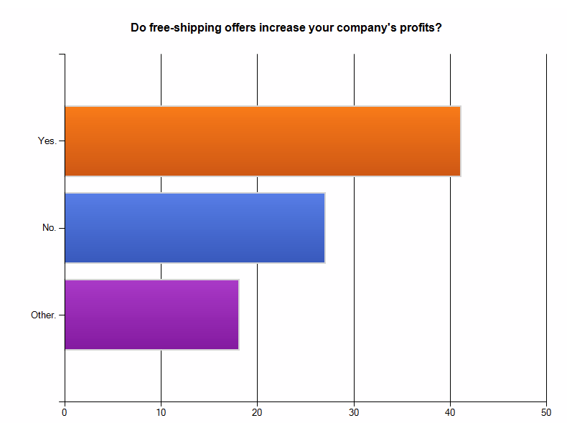 Is free shipping working for you? It’s simply brilliant. I know. If there are any shipping/handling charges, reveal them on product pages. People often use online shopping carts as wishlists. When they visit your site for the first time, they are usually exploring stuff. Customers take their time, and often make multiple visits before they decide to buy from you. A SeeWhy study reinforces this with the fact that less than 1% of new visitors will buy from a website on their very first visit (Click to tweet). 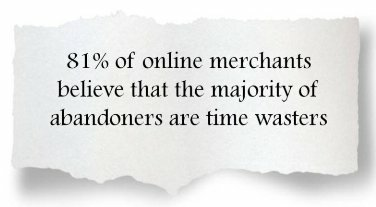 Add to this the fact that most merchants think that abandoners never have any intention to buy. So, they do not chase these abandoners at all. The good news however is that 75% of these abandoners come with at least some intention to purchase. Solution #1 – Re-targeting – On-site behavior of your customers can tell you a lot about their likes and interests. For example, you can set re-targeting ads based on the product page on which they spent maximum time. For more information on this, please read the re-targeting section. Solution #2 – Lure new customers with tempting limited-period offers – You can use Hello Bar and segment it only for first-time customers. Offer them unconditional free shipping, or an additional 10% discount if they order in the next 3 hours. Basically, anything that can help them overcome their initial anxiety and place an order with you right away. 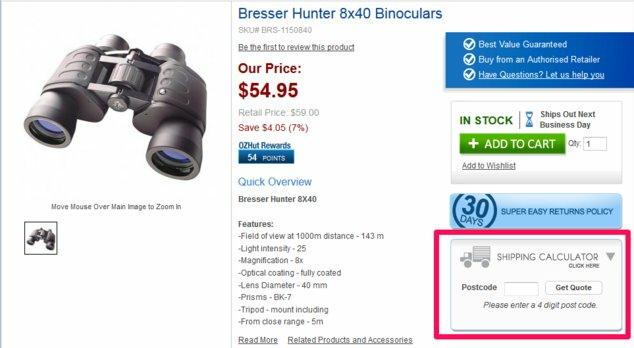 Solution #3 – Send wishlist emails – When visitors add any items in their cart or wishlist and they chance to go on sale, shoot them an email informing them about it. Do add their chosen items (with images) along with the amount they can save now. If that’s not the case, you can still send them recovery emails. Competing for price is hard but not impossible. People will comparison shop if they are not sure they are getting a good deal. 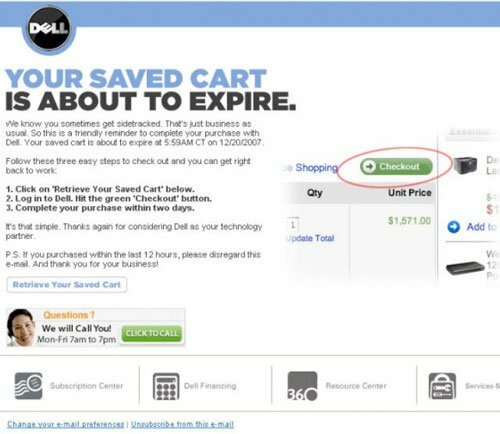 Solution #2 – Shopping cart recovery emails – Click here to jump to the recovery emails section. Solution #3 – Try out a loyalty program – Success stories of loyalty programs in offline world is no news. And now, with Amazon Prime, it’s becoming evident in online industry as well. If your loyalty program offers an additional value to your members, in the form of free shipping, extra discount, points system or any other; it can definitely make a huge difference to your revenue figures. As Fred Reichhed, author of the book, The Loyalty Effect, mentions — a 5% hike in customer retention can mean an increase of 25-100% in company’s profit. 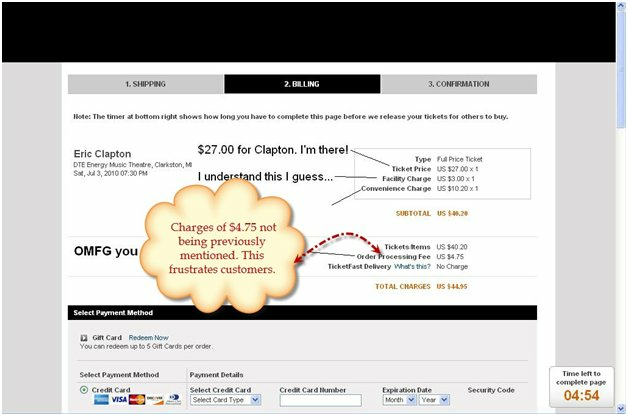 There are so many reasons for checkout abandonment, and let’s admit it – they are all justified in some way. Sometimes they are beyond our control, like pricing. In such cases, we are left with no solution but to try to get those abandoners back on our site to buy the stuff they added to their cart. It might take just two minutes. But it seems like too much effort. Plus, it slows the conversion process. Cut it short. Offer a ‘prominently placed’ guest checkout option for those who are not interested in registration. Credit card frauds, identity thefts, tons of spam — people have learnt to be cautious about sharing their personal or payment information online. Help them trust you. Show recognized security seals. Norton, McAfee, TRUSTe, and BBB have the best sense of trust for consumers, according to the 2013 survey results. In an A/B test published on Get Elastic blog, adding the McAfee security badge on the checkout page increased sale by 4-6%. Also add a phone number on the top with time of availability of executives. It’s easy for customers to believe in a website when they are shown the possibility of having some human interaction. Don’t add fields in your checkout that are important for your back-end/marketing needs. Streamline your process to ask minimum details from customers. Unless it’s an absolute essential like home address, don’t add another field. With every additional, unjustified field, you are risking your conversions. Give them a small checkbox asking if their billing and shipping address is the same. Never make them fill the same information twice. Let them focus. Navigation can be distracting. 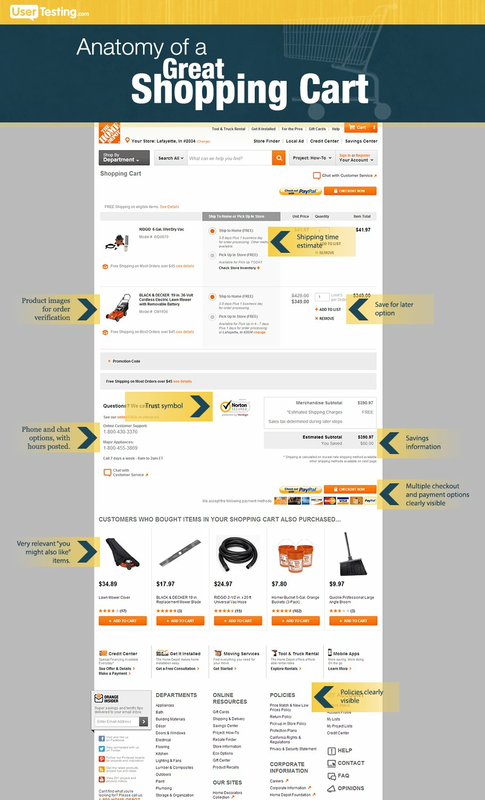 Remove all navigation except for the click to “Home” and the button to proceed to the next step in the checkout. Your CTA color should be in direct contrast to its background color. They must stand out on the page. The CTA text should clearly convey what customers should expect after clicking it. The best time to solve a query is when the customer is in the buying process. Technical issues or confusion about any field input, can be sorted right away. That’s the best time you can save a sale. 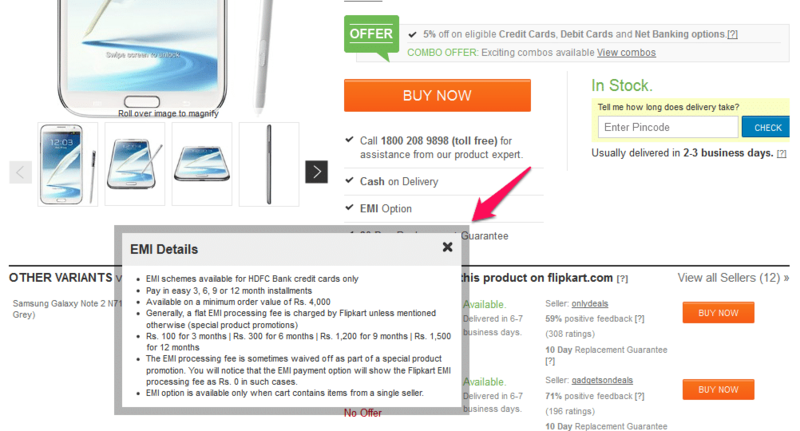 Any element in your checkout that doesn’t push the customer towards the final sale is a distraction. Remove them. nameOn tested their checkout page without distractions, which increased their conversions by 11.40% and is estimated to increase sales by $8,500 per month. Fine, you were thinking about those customers who have the coupon code, but what about those many who don’t have it? Well, you can see them browsing Google trying to find a coupon code they don’t have. And with so many distractions, they might get a better deal, product, start chatting to a friend, or very well forget about their cart. So there you go — for you, a lost sale again. When using coupon code boxes, provide current codes in a clickable link right next to the box. Don’t forget to check that coupons in this link are working at all times. Understand your customers and address the conscious/subconscious concerns that might bother them about the purchase. You can read this super interesting case study, where our customer added the ‘Re-download Guarantee’ along with several other changes on their checkout page. This increased their sales by 15%. Data suggests that every one second of delay in page load time reduces conversion by 7%. 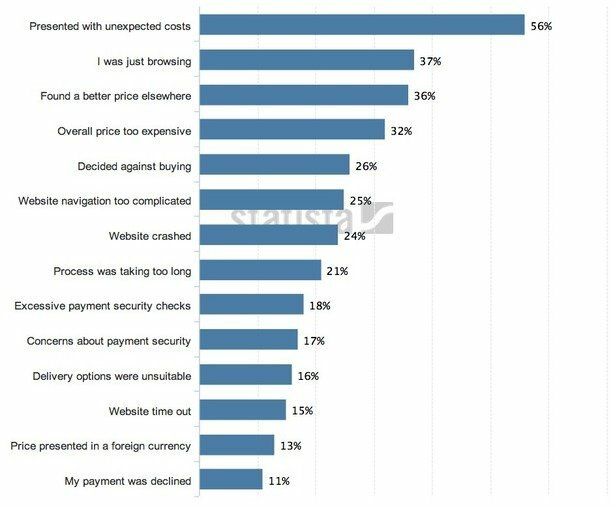 Although this data doesn’t specifically signify checkout pages, the delay of checkout pages can also reduce conversions to a great extent. Fix this issue at your back-end. If there’s still an inevitable 2-3 second delay in loading during the transfer to your payment gateway, show the loading time on the page. Keep your consumers informed all the time. – Sure you know how frustrating waiting can be. It gives customers some peace of mind if they know when they can expect their order delivery. Plus, what if they need it before a particular date? Be clear in your communication. You wouldn’t want them to leave with a bad taste in the mouth. Perhaps they want to check something in their order after the confirmation step. Maybe they clicked the back button by mistake. Don’t be so fussy. It’s only you who’s going to lose if you flash them the ‘Error’ message. Who knows whether they will take the trouble of going through the entire process again or not? Assure them that they have selected the right products. Give them no reason to leave the checkout process. Instead of showing errors after the complete submission, show errors the moment an erroneous input is added to the field. And by all means, never lose their data and make them fill the same information again. A great example here is placing the zip field first, followed by city and state field that can be auto-filled as soon as the user enters the zip code. Peep Laja, the conversion expert behind the agency, Markitekt, tested this on TrafficSafetyStore.com, which gave them a conversion boost of 38.74%. – People like to know how long the checkout process is, and where exactly do they stand. Don’t let them wonder. They might decide to hit the cross button on their browser right on the last step. 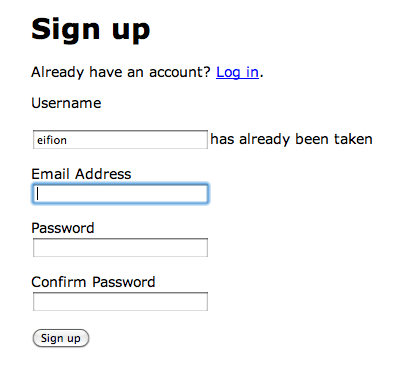 – Capture their email address in the first step. Set it to auto save or at least after submission of the first step. This will help you send them recovery mails later, if they decide to abandon the cart after that. – Maybe some of your customers don’t know their zip code. Maybe they are confused about the date format, or where to find the CSV number of their credit card. Don’t assume that they know it. Add helpful labels with fields, wherever possible. According to the same SeeWhy study mentioned above, 58% of traffic on a checkout page comes through email campaigns and they are also likely to convert better than any other traffic source. So, don’t be the ignorant marketer and use your email campaigns to bring back your customers. After someone has abandoned the cart, you can target them for a 3-part series of emails. 1st email – Within first 20 minutes of abandoning the cart SaleCycle reported in 2012 that merchants who sent their first recovery email within the first 20 minutes enjoyed the conversion lift of 5.2%. On the other hand, those who wait for 24 hours to send the first email saw their conversion rate drop by 50%. Ask them if they faced any technical issues in completing the transaction. Impel them to contact your customer service (over the phone or email) so that you can get better insights about why they didn’t complete the order, and if they want to proceed now. 2nd email – Within 2 days. Gear this email towards the reasons why they should proceed with the transaction. Begin with a thank you for their visit to your website and an apology if they faced any technical issue. Next, add some trust signals, like testimonials, trust seals, and re-state a friendly synopsis of your return and free shipping policy. Clearly state that this is the last email for them to recover their abandoned cart. Give them a time frame of 2-3 days within which they much redeem it. Add contact options, shipping options, and if there are any current on-site promotions available. Send behavioral-targeted emails – Envelopes.com used their email recovery campaign to increase revenue. This cut down their checkout abandonment rate by 40% and increased their checkout conversion rate by 65% in less than two years. What I liked best about their campaign was their approach to personalize recovery emails based on consumer behavior. A company dealing with envelopes of all kinds, they customized the last part of their recovery email according to user’s specific requirement and provided them options to explore their preferred envelope choice, based on size, color, and style. You can read the complete case study here. “Out of sight is out of mind” — Remember this adage? Well, retargeting helps you stay in sight if your customers leave the site without buying. You can use these ads to display the items (selected by them) in the ads section of other sites they visit later. You may even add some incentives to your retargetting ads, like 2-day shipping, refund schemes, and discount codes to make them return o your site. A reminder is a must here. Be it best practices, recovery email tips, or anything else — even if it is all backed by data, take them only to be your starting point. You never know how your target customers might react to it. So, be sure to A/B test at every step of the way. Sign up for your 30-day free trial of Visual Website Optimizer. It will only take a minute. Wow! This one is a long read. 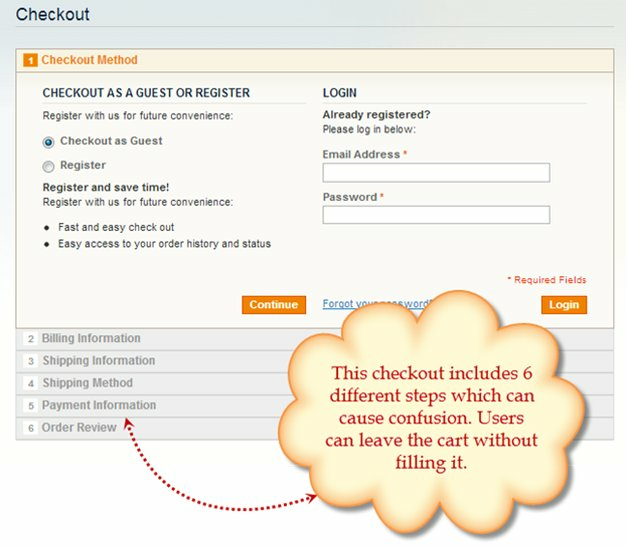 But I’ve tried my best to make it a comprehensive guide for checkout optimization. I’d hate to see you leave money on the table after this. But wait — before you begin to implement any of this, tell me — did I miss anything? Do you have any other doubts or tips to share about cart abandonment? Let me know in the comments section. I do not think you left anything out! Long read but a good one. You provided great support information that I will be able to utilize while promoting the value of @Pay. Thanx. Phew! Great Article Smriti! You’ve covered so many different angles of Shopping Cart Abandonment. Just wanted to extend a bit on what you wrote about cart abandonment emails. It’s possible to be a lot smarter with them. A new visitor to your site who abandons a cart, is very different from a regular shopper who abandons a cart. However, most shopping cart abandonment software sends the same emails to everyone. They might do A/B Testing for different subject lines, images and timings… but essentially, everyone gets the same email. It’s time to get more clever about this. You could target customers differently… Where existing customers just get a reminder, and valuable new visitors get a special offer to lure them in. Or imagine if you could target VIP customers who abandon, with a thank you offer and giveaway? Or what if you could go beyond cart abandonment, and send abandonment emails on what people have browsed – Browser Abandonment? For our clients Cart Abandonment emails increased sales 8.22%, and Browser Abandonment 3.98% in April 2014, thanks to these hyper-personalised abandonment emails. If you’d like help with your abandonment emails, I can help you out. @Mike – Glad you liked it! @Alex, that’s a great point. I’ve heard about many companies achieving great results with personalized mails. I think it’s a great way to recover carts. Thanks for mentioning that!